Women around the globe are uniting to create change on fundamental social justice issues, such as gender and racial equality, environmental integrity and government accountability. Girls too have an increasingly visible and important role in these efforts. Here in the United States, more and more girls are joining their mothers in voting lines, rallies and marches. They are engaging through social media, school clubs, writing poetry, performing protest theatre and using other creative outlets. These girl activists bring new perspective and give voice to issues facing their generation. Their involvement is critical to the sustainability of social justice organizing. We strive to harness the growing momentum of girls engaging in social change efforts. This is particularly important at this unprecedented point in time, as democracy and fundamental human rights principles are under attack across the globe. 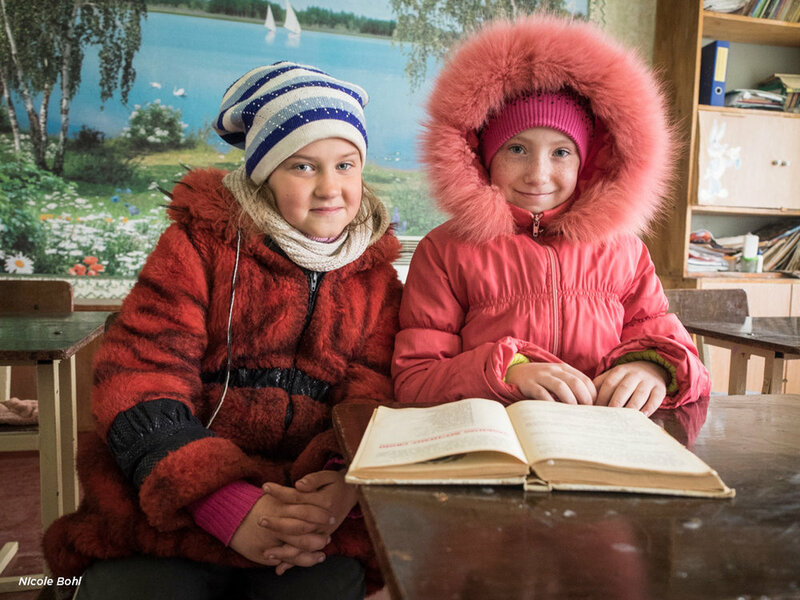 As educators and human rights activists we have a unique opportunity to engage, empower and unite girls so their efforts can have even greater impact. Through this project we will expand girls’ role in social change movements by guiding them through a process of deeper learning on complex human rights issues and launching their newly acquired skills through service learning projects. Generation Girl strives to help girls deepen their understanding of complex human rights issues and build and launch social activism skills. A unique aspect of Generation Girl is that it brings the voices and perspectives of girls who themselves have suffered challenges and violations of their human rights to girls in US-based classrooms. This is intended to help the participants relate and engage in a more personal level. Additionally, the project brings together participants in a supportive, online community oriented toward social change. The pilot project will focus on three fundamental issues facing girls: refugee girls, undocumented girls and early and forced marriage of girls. Curriculum development: We will develop unique lesson plans on the selected human rights topics for all girl classrooms in the US. These will include the personal stories shared by girls who have experienced these challenges and participated in the initial workshops. The lesson plans will include three mini units on refugee girls, undocumented girls and early/forced marriage. The lessons are in a project based learning model. Artistic activities (e.g. photography, creative writing, arts) are included in the activities. These creative activities will enable the participants to get involved with issues that affect their community and play out globally. We know that art has the power to impact learning and inspire activism therefore, within the curriculum girls will learn the tools they need to design a service-learning project that serves the community and addresses a human rights issue they have learned about in the program. The lesson plans are intended specifically for all girl classrooms. Classroom roll-out: We will pilot the curriculum at two all girls schools in the US. This will involve professional development workshops for classroom teachers. It will also involve supporting the girls in the classrooms to develop and launch their own hands on social change learning project, such as a digital exhibit with creative storytelling, a physical exhibit for participating schools or a local or digital campaign, etc. Online platform pilot: We will create a beta version of an online platform that will allow all girl participants from the initial workshops and the US classroom projects who wish to join to communicate with one another in a safe, moderated online exchange forum where they can share ideas, tools, hopes and plans. We will partner with Mobility Labs on building this tool. Evaluation: We will have three modes of evaluation throughout the pilot project. 1) We will self-evaluate through the pilot using internal review and analysis 2) we will solicit final evaluations/surveys from initial workshop participants, US classroom participants, US classroom teachers/administration and other adults coming into contact with the project 3) we will engage an external evaluator to monitor program implementation and assess outcomes at the end of the pilot to inform future improvements. Future vision: Our vision is to build on the tools, networks and expertise that we develop during the pilot to roll out the project in more girls schools across the US during a second phase. This will also involve making relevant adjustments and adaptations to all phases of the project based on learning from the pilot. We will create a user-friendly digital platform to host the lesson plans, girls’ projects, and other documents to refine the space for girls from different countries to communicate with each other. In later phases we envision expanding to a full year curriculum that will address other essential human rights issues, such as girl mothers, indigenous girls, girl soldiers, LGBT girls, and others. Budget details are available upon request. Generation Human Rights empowers and engages youth locally and globally to chart a world free from human rights abuse and genocide through the development of multidisciplinary curricula and custom education programs.